Jackie King is an aquatic ecologist who was a researcher, lecturer and supervisor of postgraduates at the University of Cape Town for almost four decades. She is now an Honorary Professor in the Institute of Water Studies at the University of the Western Cape, and consults widely through Africa and Asia on river-basin planning and integrated flow management. She believes that the social and ecological consequences of the development of river systems should be addressed at the same level as engineering and economic aspects, so that decision-makers can assess the full spectrum of costs and benefits before making a development decision. In the 1990s she led the early development of methods to do this in South Africa, which resulted in flows for river maintenance being included in the country’s 1998 National Water Act: South Africa’s Minister of Water Affairs and this Act won the Stockholm Water Prize in 2000. In 1997, she led the flow assessment for the Lesotho Highlands Water Project, which resulted in the first recorded recognition globally of the rights of downstream communities to compensation for declining river health. She was global Team Leader of the World Bank advisory group on environmental flows from 2000-2003, and resigned from that position to take up one as a scientific consultant on integrated flow management to the Mekong River Commission.Since 1997 she has also led scientific teams working on environmental flows and river system management for the Pungwe River, Zimbabwe; parts of the Zambezi Basin (Kafue and Luangwa); the Pangani Basin, Tanzania; the Okavango River system (Angola, Namibia, Botswana); and the headwaters of the Indus River system in Pakistan. She has been contracted to do work of a similar nature for the World Commission on Dams, World Bank, IUCN, WWF, and has worked in Taiwan, Ethiopia, Costa Rica, USA, Guatemala, Australia, Mozambique, and the UK. From 2009 to 2014 she acted as scientific advisor to the Government of Pakistan in a dispute with India over the Kishenganga Dam in the Himalayas, and in this respect served as an expert witness at the Permanent Court of Arbitration in The Hague in August 2012. 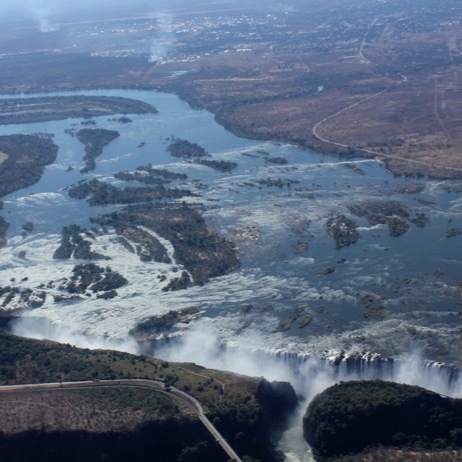 In 2012 she completed for WWF a plan for setting and implementing Environmental Flows for the entire Zambezi Basin, and between 2013 and 2018 worked with WWF-Zambia and the Zambian government on aspects of flow management of two parts of this system: the Kafue and Luangwa tributaries of the Zambezi. In 2010 she was first editor and an author of the book Sustainable use of South Africa’s inland waters, which records South Africa’s moves to provide environmental protection measures for aquatic ecosystems. In 2014 she was lead author of the article Hydropower and the river for the Asian Development Bank which is presently being prepared for publication in Development Asia, the ADB-led online knowledge platform. In 2016 she wrote, as part of a team of four, a Good Practice Handbook for World Bank project managers worldwide dealing with downstream releases linked to proposals for hydropower dams. She was also the Ecological Lead in a World-Bank funded Multi-sectoral Investment Opportunities Assessment of the Okavango River Basin in 2016, for the DFID-funded project on Climate Resilience Development Pathways for the Okavango Basin in 2017, and the EU-funded project Technical Assistance for Transboundary Water Management of the Okavango River Basin (2018/19). She frequently speaks as a keynote or invited speaker at international conferences, and has more than 100 refereed items in books, international journals and conference proceedings. Her work in South Africa was recognised in the 1990s with a Silver Medal from the Southern African Society of Aquatic Scientists and in 2003 through the government awarding her the national Women in Water Award in the research category. In 2010 she was appointed an inaugural member of the National Water Advisory Council to advise the South African Minister of Water Affairs. In 2012 she was appointed Extraordinary Professor at the University of the Western Cape, Cape Town. In 2016 she received the Gold Medal of the Southern African Society of Aquatic Scientists and was the 2016 recipient of WWF-SA’s Living Planet Award. In 2018 she was elected an International Member of the American Academy of Arts and Sciences (AAAS). She presently serves on the Board of Directors of WWF-SA and the Research Advisory Panel of South Africa’s Council for Scientific and Industrial Research. She serves as a Senior Scientific Advisor to the International Crane Foundation and as a member of AAAS’s global project Water Security in a Changing Climate. She is a South African National Parks Honorary Ranger, serving on the Regional Committee for the Table Mountain National Park region and holding the Training portfolio.